BECOME THE LORD OF A CASTLE! Feel like the lord of a castle, and accompany us through the Greng Castle in the video tour. Would you like to impress yourself, customers, and guests, enjoy life in style, and at the same time save on taxes? Then you should secure this offer for yourself. 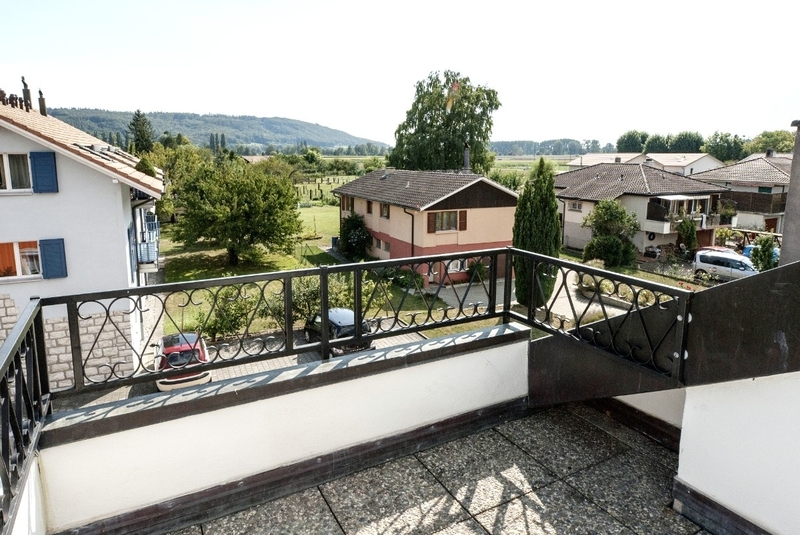 Because you now have the unique opportunity to reside in a real castle with all the amenities and very extensive castle grounds in the middle of Switzerland. With Greng Castle, you have a unique opportunity to reside in a prestigious property in a quiet environment, where you can present yourself to your guests. It is the only private castle of this size and exclusivity in Switzerland, and thus is a true rarity. There is now an opportunity exclusively for you to acquire residential property, an opportunity that will not come up again soon! Greng Castle was built in 1785 and was inhabited by various well-known personalities, such as Madame de Staël, Benjamin Constant, and Nestlé President Emile-Louis Roussy. Greng Castle is located in Greng, the German-speaking community of the same name, with only 180 inhabitants in the canton of Freiburg. The residence is located in a beautiful, mellow hillside landscape, with vines and lakes. Lake Murten is only a short walk away. The nearby picturesque medieval town of Murten, with its numerous arcades and fountains, offers all shopping options along with a selection of different exclusive restaurants. The Greng locale is very central. You can reach the A1 in a few minutes. Several major cities, such as Berne, Freiburg, and Neuenburg can be reached in less than 30 minutes. The entire municipality of Greng is very exclusive and well-off, and has the second highest income in Switzerland. The tax rate is also attractive. It is not only a paradise for living and working, but also a genuine tax paradise. The municipal tax rate amounts to just 32% (! ), Freiburg’s basic cantonal tax. The numerous legal entities located here also contribute to a sustainably low tax rate, which will also be of great interest to you and your domicile companies. In 1989, the entire property was subjected to a renovation worth millions, and was divided into floor ownership. You do not have to purchase the whole castle for dozens of millions of francs, but you can set yourself up in this exclusive location for a relatively small amount thanks to floor ownership, and invest your money into a true rarity. Greng Castle offers everything your heart desires – from stylish and authentic rooms, to an elegant reception hall. For a fraction of the total sum, each floor owner has access to the impressively large reception hall on the ground floor, with a banquet room, kitchen, and WC, where you can spoil your guests with style. Relaxed aperitifs can be enjoyed in the traditional carnotzet. The castle even has its own chapel. The fabulous French park of 1.3 hectares, ornamental fountain, ponds, romantic Roman-style temple, as well as the unique hedge labyrinth, invite you to linger between flower beds and shady trees. In the garden behind the house, there is a fish pond with fountains and wonderful fruit-bearing trees of all kinds, an absolute dream for all nature lovers. The water comes from the castle’s own spring. A large noble gate and a hedge wall protect the residents from prying eyes and paparazzi. You have your own wine cellar on the ground floor, where you can keep your best wines, and allow them to mature. Benefit from our exclusive offer, and reside like a king at a uniquely low price from CHF 1,495,000. A noble staircase, crafted in exceptionally beautiful detail, and a lift take you up to your flat on the 2nd floor. There are two adjoining flats/premises (5.5 and 3.5-room flats), which offer a lot of design freedom for private work and/or living in the same location. 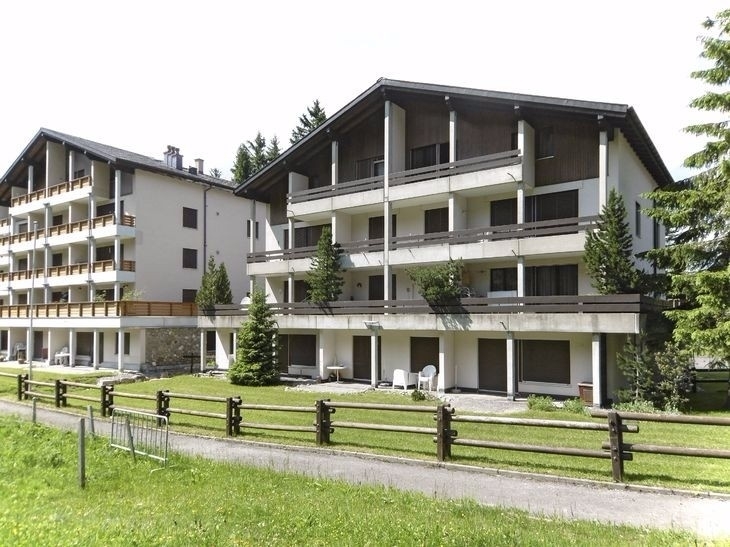 They are also very well suited as your domiciliary company’s domicile, or just as a second residence for a hiatus in the quiet and pure nature in the heart of Switzerland. The 3.5-room Maisonette flat is divided over 2 floors, and offers a generous living space of 136 m2. The 5.5-room triplex flat is divided over 3 floors and offers over 199 m2 of living space. The triplex flat has its own private sauna with shower on the top floor. 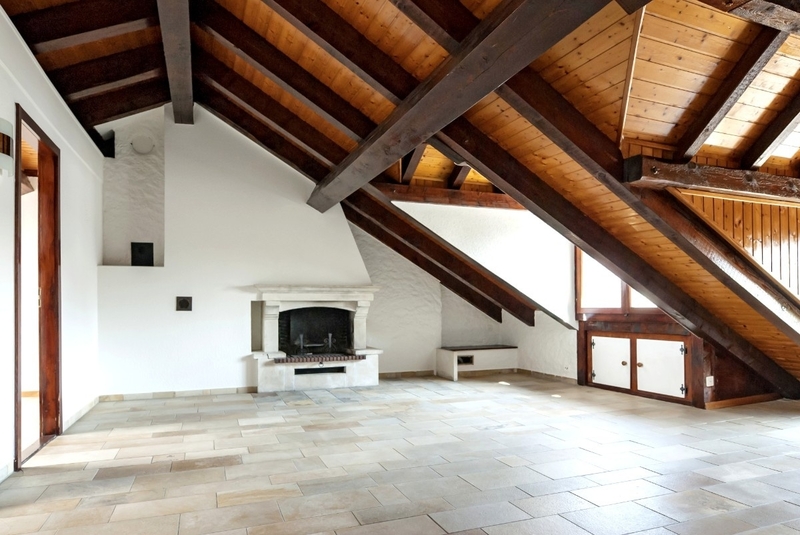 Both flats combined have 9.5 rooms with an area of ​​over 335 m2. The rooms are furnished with the finest parquet and elegant tiles. The large dining and living areas, with parquet and marble chimneys, are flooded with plenty of light. The adjoining balconies are a special highlight. They invite you to linger with the unique view of the geometrically designed garden and the ornamental fountains. Both flats offer plenty of space for rest and relaxation. Each of the spacious marble bathrooms has a Jacuzzi. The guest WCs have their own shower. The 5.5-room flat has an intimate spa area with sauna and shower. The kitchen fronts are done in timeless white, and the worktops are made of fine granite. The kitchen appliances are from Gaggenau, and comply with the highest standards.